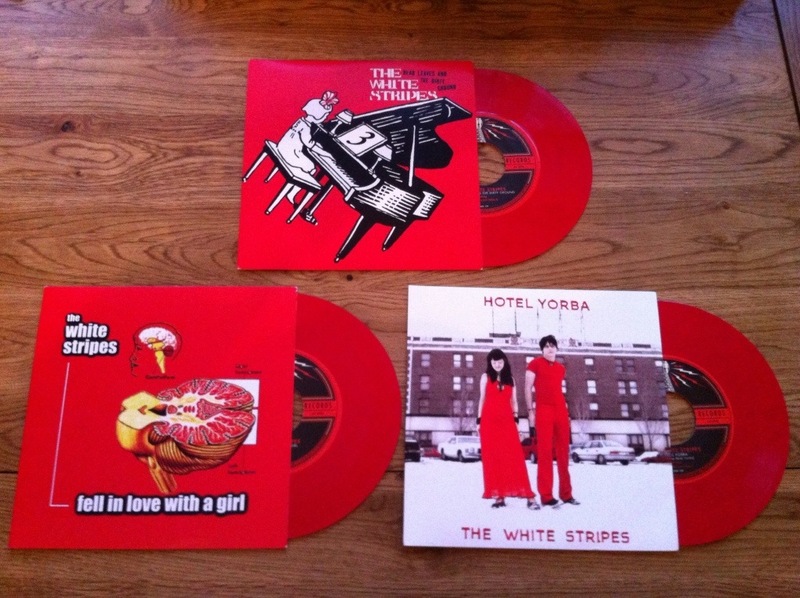 Thanks to Sean at Fat Elvis Records in Knoxville, I now have my three Third Man Records White Stripes Red Vinyl 7″ releases. These were only available to independent record shops for 24 hours after thanks giving, known as Black Friday. Here are mine pictured below.